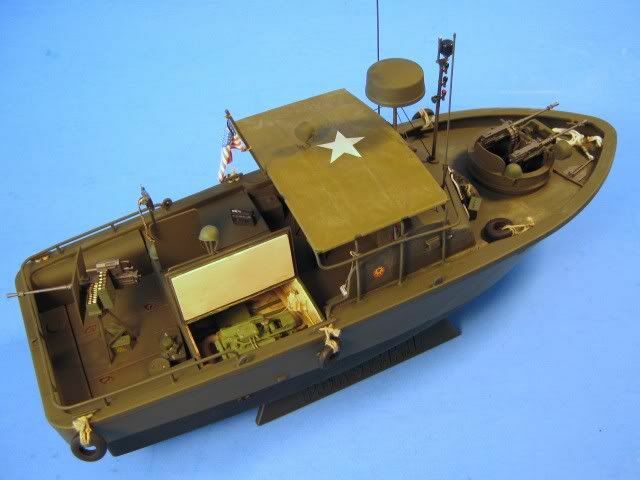 Here I go to show assembly of the boat Pibber PBR31MK.II, used by the US Navy at Vietnam war. 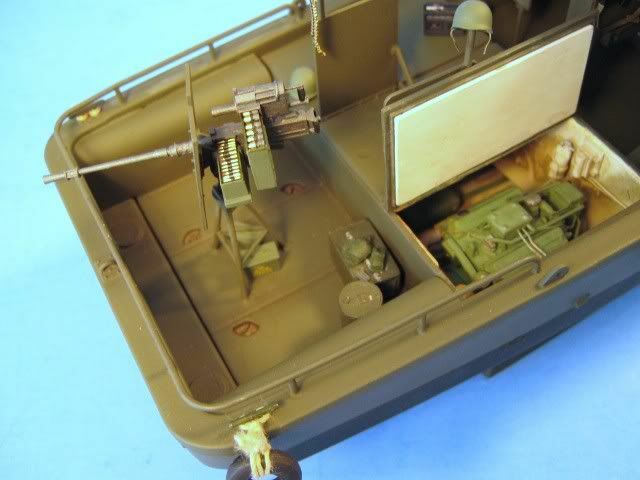 It is Kit of Tamiya brand, with few parts and easy of assembly. All parts of perfect fitting. I use dental glue called JET. It's very good. It was applied two coat of autotive primer (acrylic). Now waiting dry, sanding and to apply one background stell. After dry, I will apply two coat of color Olive Green and bottom of the boat Hull RED color. Looking good so far. I have built a few of these and they are nice little kits. They can be super-detailed as well. I added an engine to one of mine. Do you know what's the frame material Pibber (wood, steel, iron, fiber)? Yesteday, I painted the background of boat in steel color. I took that was with airbrush in hand and I painted some accessories. It was applied automotive primer (acrylic). The hull and cabin structures are made out of fiberglass. The plates around the caxswain area and the central gunner are thin sheet steel armor. Yesterday, it was a hard day and don't gave to post new pictures. Giving continuity in job, below pictures of thursday. I applied ink flat black to give the effect shadow in Olive Green color. So, I save time in the moment to do shading and lighting. *The guns are almost ready. It only remains drybrush. How was the weekend ? This weekend here SP-Br it rained, but made heat. Very good for paint. I took that was peacefull and I painted the boat Pibber. I applied one coat fine of Olive Green color without cover fully the Black color. Covering slightly, letting the shadow effect. After of hull dry, I prepared the hull for to paint the waterline, in the color Hull Red (XF-9). Below, some pictures after of dry. Next step I will go sanding some parts imperfect, apply one coat of gloss vernish and to apply the decal. After a long time I am back. I got enough forward progress of the boat. layer of steel appears, resembling a metal worn by time and use. applied the technique of WASH. (oil paint Black and Burnt Umber), giving an appearance of dirt. After the effect of wear, the technique applied in the boat all WASH, always taking care to make the effect of runoff from the dirt in the right direction. I used oil paint and Burnt Umber Mars Black (brand FINE-Lefranc). This combination gives a hint of dirt. very nice build! i've always liked the pbr kit, i've got 2 built, and thinking of buying another!